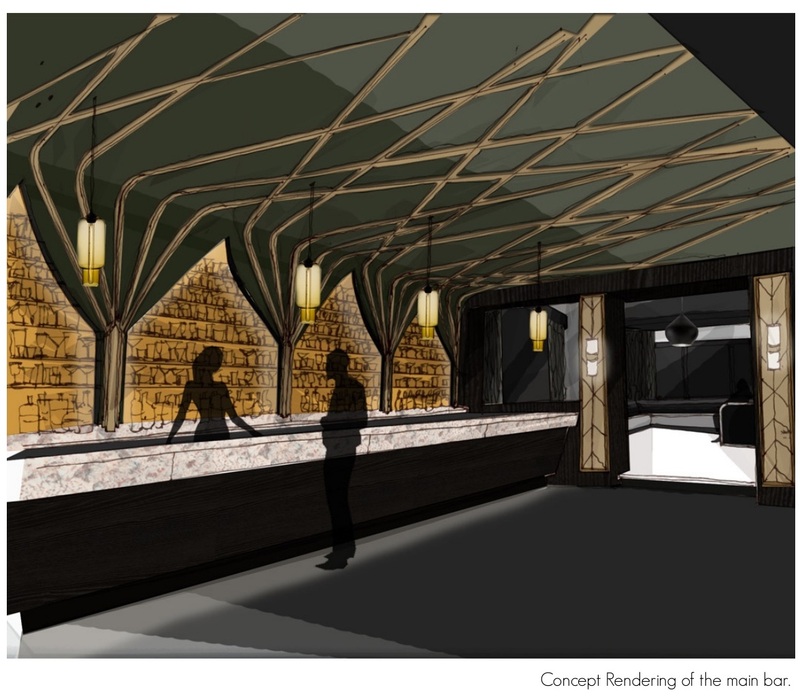 The Roosevelt Room is a nightclub/supper club in Toronto, Canada. I was responsible for the conceptual design and project management of this project, which took place over a 15 month period and totaled a grand 1.3 million dollars. 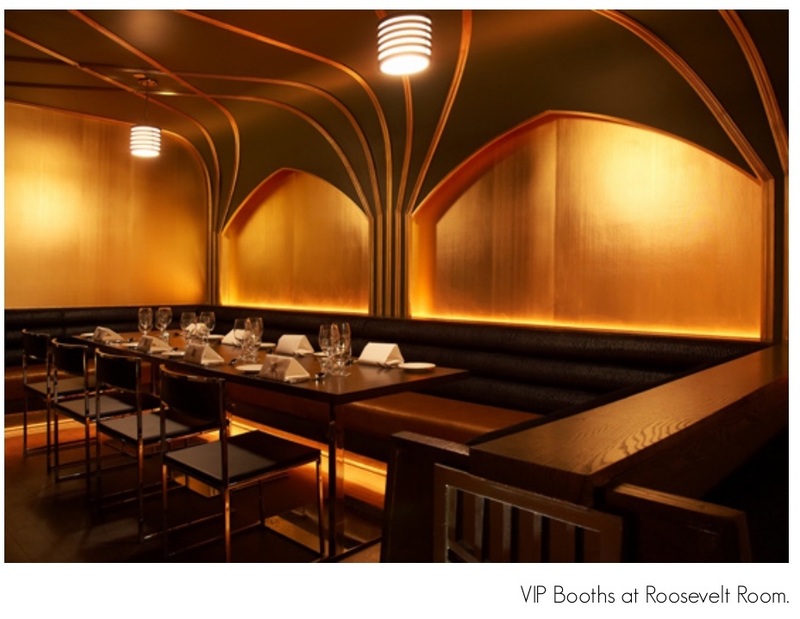 The Roosevelt Room is meant to be a throw back to the roaring 1920’s and boasts a luxurious Art Deco styled interior. 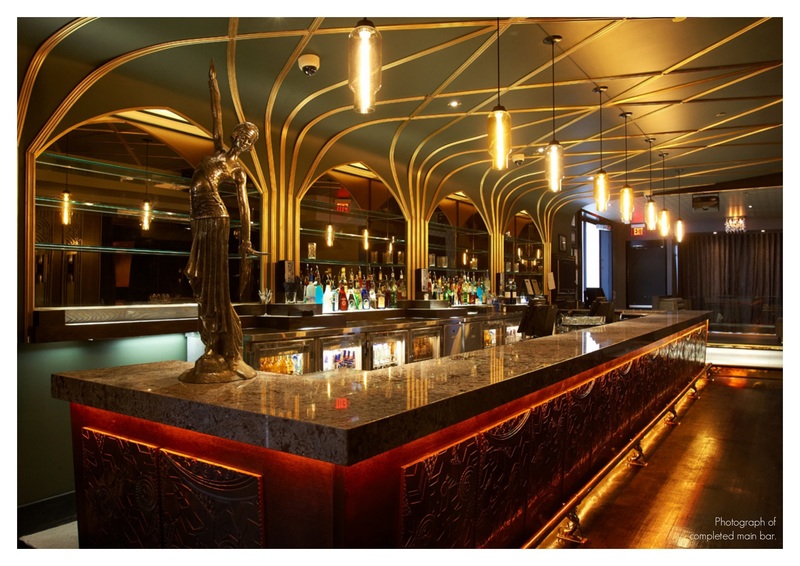 Custom ceiling details, columns, bar cabinetry and wallpaper were all designed for this now popular entertainment venue. The building that the Roosevelt Room occupies was originally a furniture fac- tory built in the 1930’s, which over the years has been occupied by a number of different clubs and restaurants, the last being extremely run down and dirty. This project was a complete renovation to the interior and exterior of the existing building, for which I produced a full construction drawing set, specification booklet and millwork drawings in addition to the concept renderings.